Looking To Hire Professional Copywriters To Rewrite your Site Content? Hire professional copywriters to write your website product, and/or services content pages including email series. CTH offers copywriting services to help business entrepreneurs improve their online presence, including keyword research, on-page analyses and bespoke copy-content suitable to your digital business. 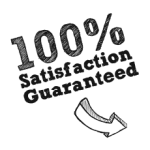 We will guarantee that your site will improve positioning, attract new leads and major search engine bots alike. Before publishing any content or copywriting articles online, we strongly advise you to prepare and concentrate your text accordingly to your personas needs. More than ever, your page content needs to be relevant, appealing, structured, funny and sell without selling. Ideally it will automatically lead users to contact you, sign-up for newsletter, a report, or download a whitepaper. Whatever you want to promote online, you must create and show professional copywriting content, with attractive and appealing headings without forgetting the call-to-action. Why quality text will increase site’s traffic and conversion rates? Many businesses have already benefited from our copywriter’s skills by selecting good long tail keywords that are relevant, to the product or service they offer. Not forgetting a good image linked to it, amongst other multiple techniques that must be used to get results. What sort of material would our copywriting team recommend? Why hiring our copywriting services? a) We will create unique specialised and concise copy material that will promote and sell your product or services to your target market. b) Because we combine the main ingredients to generate relevant copywriting, that will generate interesting and authoritative pages for online readers. Example: We’ll look to understand what your business is, what you’re trying to sell and to whom. We then bring in the SEO copywriter specialist to find out what will be the best keywords to represent you or your business on a particular page of your site. c) We will guarantee you an improvement when using our expertise. A good service generally receives a recommendation, and we want yours. d) Finally, we will work with you to ensure you are 100% satisfied with our copy recommendations. 1. A very well-planned series of highly relevant email messages sent to subscribers, contacts or customers who have taken a specific action. Example: signing up for your newsletter, make a purchase from your store, opt-in and downloaded your report, white paper, etc.). 2. A fine-tuned and carefully planned time intervals to send your bespoke (drip) emails. If you do it too frequent you’ll risk putting the subscriber off; too infrequent and you might not build the relationship you’re aiming for. So, whether you’re looking to re-write your entire site, launch a new email campaign or you just need to revamp your blog content pages, we’ll be happy to provide you with innovating copywriting solutions. Call us here 01252 679885 for an informal chat and/or get in touch to know our copywriting team, approach and prices.